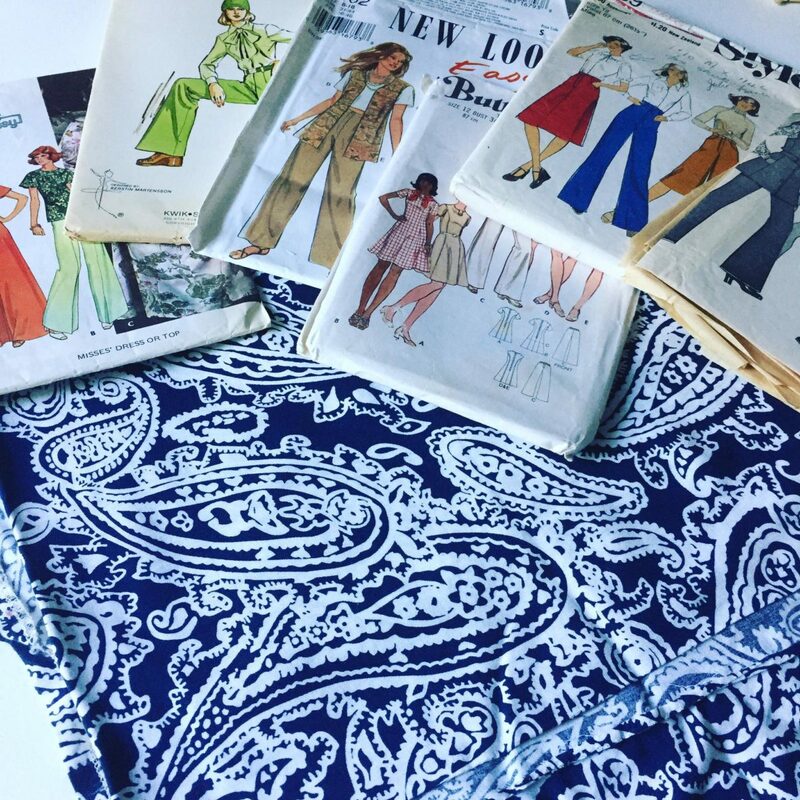 Today I have short-listed these patterns so that tonight I can make a start on a pair of wide leg pants using this navy and white paisley rayon. I have quite an extensive collection of patterns…. many I have been given, but also a lot purchased over the years, with some dating back to my teenage ages when I made nearly all my clothes. The rayon will be a rework of a previous garment. I used it to make a maxi dress several Christmases ago. The dress never “felt right”, the style was too baggy for my normal taste and well, it just hung in the cupboard and never got worn! See, take heart, I have wardrobe failures too! Anyway, I just LOVE the fabric, I guess because the design is so like the fabric of a favourite pair of bathers I had when I was 12. So… I found the leftover fabric from when I first made the dress, unpicked the dress and discovered that there was enough to make a pair of trousers. I am aiming for a full cut so that they will be quite floaty! I will make them with an elastic top I think and wear them with a hangout white linen top! !